The Doggie U K9 Academy has announced a casting call for pet talent acts taking place on November 10, 2012, from 10 am to 2 pm in Long Island, New York. Dogs that are selected will be a part of the Black Tie for Paws event that takes place on Saturday, March 23, 2013. Additionally, Doggie U will be looking for human acts that have pet-centric themes such as comedy acts about pets or singers that “make pups howl,” according to their recent press release. Doggie U K9 Academy is in Bay Shore, New York, and is a canine training facility for dogs of Long Island, New York. Doggie U encompasses 13,000 square feet of fully matted facility with anti-grip and impact footing matting. They offer Puppy Kindergarten, Puppy Agility, Pet Obedience, Competition Obedience, Breed Handling, Rally and Specialty classes. Black Tie for Paws is touted as Long Island’s only red carpet and black tie fundraising event to benefit two local pet rescue groups. For the first event, 150 people attended with at least 60 or more dogs. Guests attended from areas including Long Island, Queens, Brooklyn and New York City. Casting is an open call from every hour on the hour starting from 10 am to 2pm (10am, 11am, 12pm and 1pm); so please contact Ginny Anziani or Rolissa Nash at Doggie U to register for this casting call. You may contact them at (631) 968-7972 or by email at DoggieUK9Academy@aol.com. 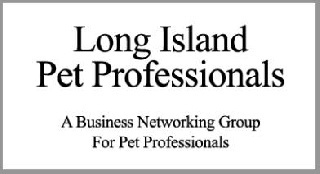 For press inquires or an interview with Ginny or Rolissa contact Nancy Hassel at (631) 446-1105 or by email at Nancy@LongIslandPetProfessionals.com. For more information, visit LIPetPlace.com and http://www.longislandpetprofessionals.com/.